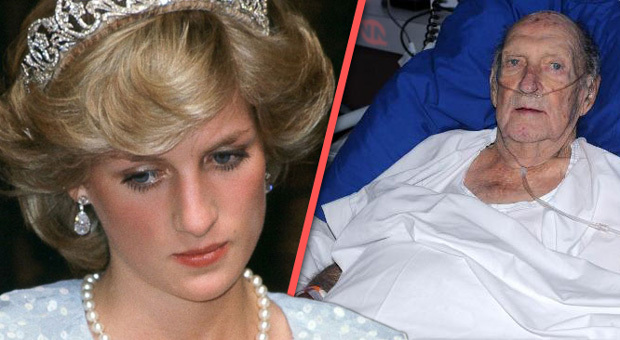 Dying Mi5 agent John Hopkins confessed to murdering Princess Diana A dying British Intelligence agent has made a series of stunning confessions after being told that he only has a matter of weeks to live by doctors, including that he was tasked with the murder of Princess Diana. 80-year-old John Hopkins is a retired Mi5 operative who worked as a hitman for Uk Government and claims to have carried out 23 assassinations between 1973 and 1999. Hopkins was a 38-year veteran and claims that his job often involved discretely assassinating individuals who “posed a threat to national security”. During his time serving the United Kingdom, he trained extensively as a mechanical engineer and munitions expert and claims to be “seasoned” in unconventional murders involving poisons and chemicals. The retired British assassin says he worked as part of a cell of seven operatives who were trusted to conduct political assassinations during a period he describes as “when MI5 operated with less external oversight”. Many of his top secret cell’s victims were politicians, journalists, activists, and union leaders. After being told that he only has a short time left to live from his doctors, Hopkins said he will spend his final weeks at home, but admitted that he expects to be arrested after his admissions, or even silenced, saying: “I can’t say that I care an awful lot.” “If they try to take me out, they’ll be doing me a favor now” He explained that he would be “long-gone” should an investigation be opened as it would “take forever” and be “very complicated” due to the limited records on the operations, adding that “most of my colleagues are already dead”. Should this case ever be investigated, the most important witness would be Mr. Hopkins boss who apparently died of a heart attack in “the early 2000s”.